Posted on 5th December 2018 at 11:26 am. FutureScape 2018 is one of the UK’s leading landscaping trade shows. 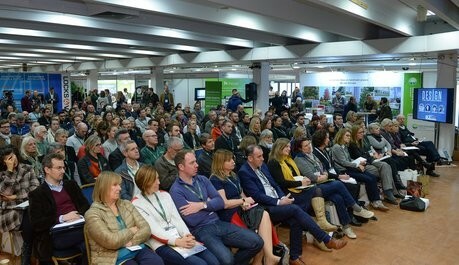 It brings together landscapers, designers, grounds maintenance contractors and suppliers from across the country. It is hosted by Eljays44, a family-run media company committed to delivering actionable content and up-to-date information for the horticulture and landscape industries. This is achieved through magazines, digital media and, of course, the ever-popular FutureScape trade show. This year, we attended the event for the first time and we wanted to share some thoughts on our experience. 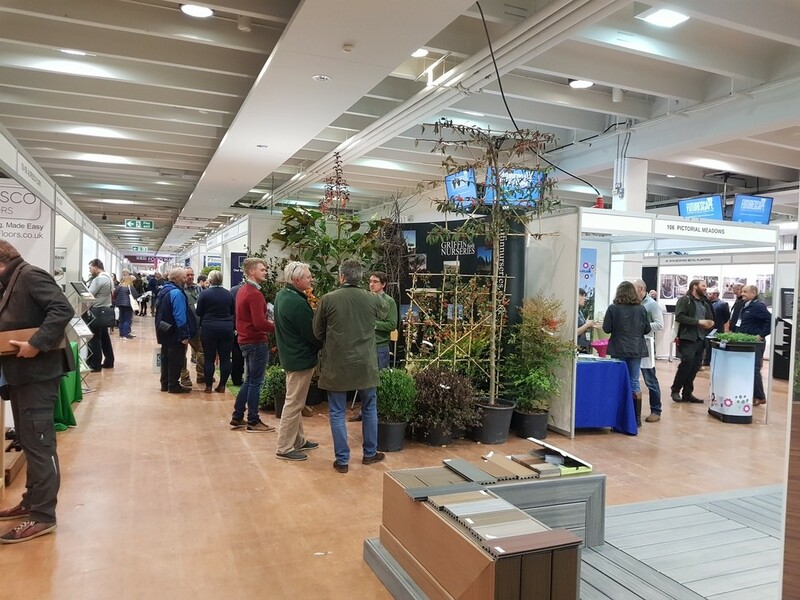 FutureScape 2018 was held at Sandown Park Racecourse, in Esher, Surrey, on Tuesday 20th November. We had a fantastic time at the show and spoke with many contractors, garden designers, architects and representatives from industry bodies. 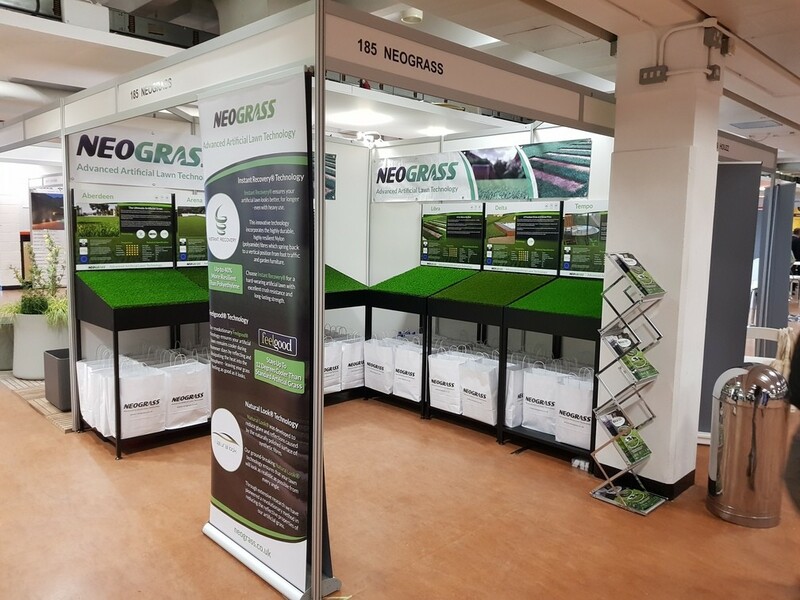 The NeoGrass stand was a hive of activity throughout the entire day, with many visitors keen to speak with us and check out our artificial grass products, which were on display for all to see. It was great to hear about the positive experiences contractors are having using our products and how they are using them to transform gardens and commercial areas across the UK. 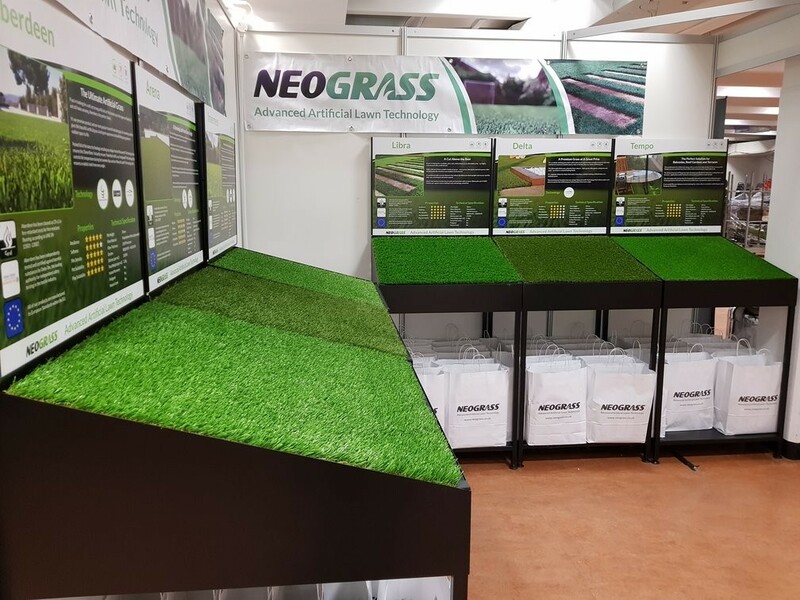 We received lots of interest from new distributors and installers, and look forward to building strong relationships, going forward, and helping them to provide their clients with the best quality artificial turf. We were also handing out our special goodie bags, with free samples and gifts, for those who visited our stand. We found the ever-popular seminars to be extremely informative and it was interesting to hear about current industry trends and issues. There was lively debate on various industry topics and each seminar hall was packed with some of the industry’s key figures. Attendees were encouraged to get involved with the seminars and provide their opinions, and they asked the speakers some great questions. Although our stand kept us busy throughout the day, we thoroughly enjoyed the seminars we managed to catch and hope to become more involved with these at future events. 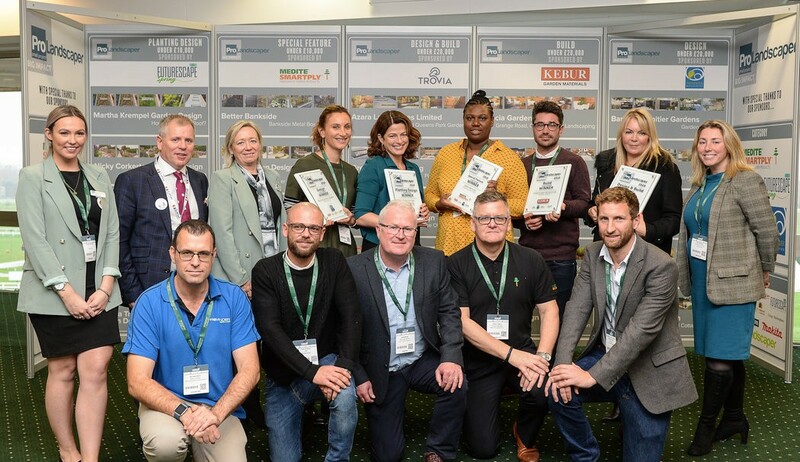 At this year’s show, there was also an awards ceremony to recognise some of the outstanding contributions people are making to our industry. Winner: Bankside Metal Box Garden, by Better Bankside. At the after-show dinner, there were awards for the 30 Under 30, which recognises young talent within our industry – a huge well done to all of the winners. Futurescape 2018 proved to be a huge success for us and for everyone that exhibited and attended the show this year. We have to say a massive thank you to all the event organisers for putting on such a fantastic show and we look forward to attending again in 2019. 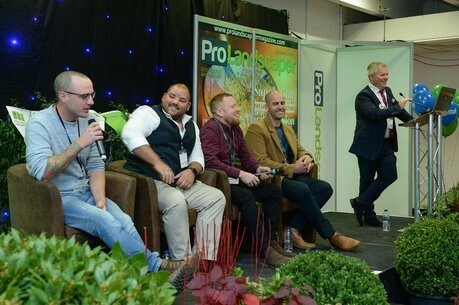 We thoroughly enjoyed speaking with everyone that we got a chance to speak to on the day and the entire landscaping industry can be extremely proud of itself for coming together and making our industry even better than it already is. We hope to see everyone again next year and we would encourage anyone thinking about attending in 2019 to come along – you won’t regret it!